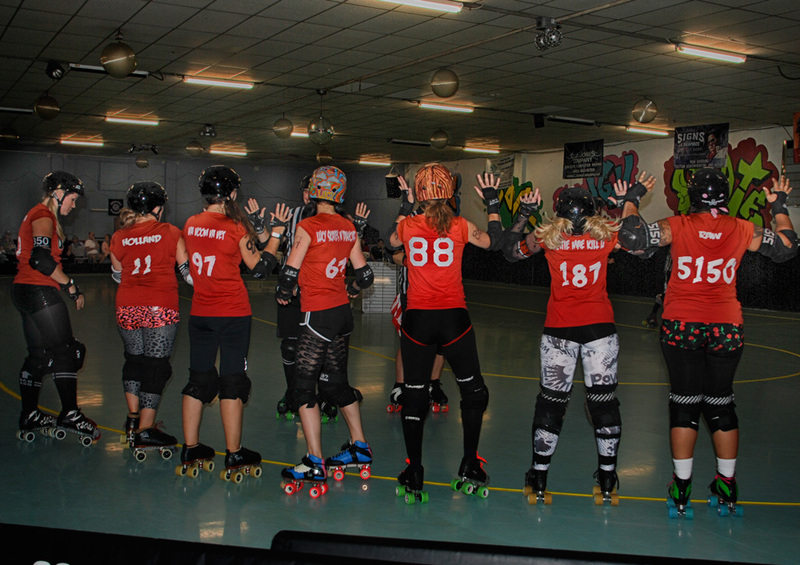 September 25, 2013 in Photography | Tags: Roller Derby! The Cherry City Derby Girls Wheel Assassins. The Port Scandlous Brawl Stars didn’t have their bench by the beer garden ;-( I don’t have the skill and/or gear for action indoors but it was fun to catch great skater names. Bill- I think Katie Mae just pulled her hair through the holes in her helmet- she is in the light leggings above. These photos bring back memories. 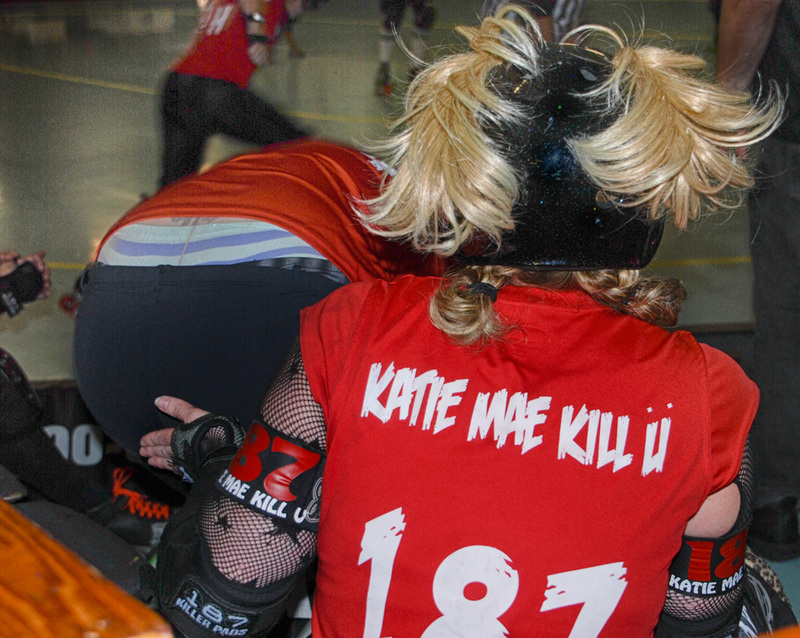 I wasn’t on a roller derby team but I was a speed skater (roller skates not ice) and participated in meets. These pictures remind me so much of those days. Great shots.